I’ve been a casual observer over the past few years of The Internet of Things (IOT). A phrase coined by Kevin Ashton to describe the “interconnection via the Internet of computing devices embedded in everyday objects, enabling them to send and receive data”. I can recall visiting a “smart home of the future” as was described by Microsoft at the time in 2001 in Sydney and being captivated, as many people were by the internet connected fridge. More for the touch screen device on the door (remember this was 6 years before the launch of the iPad). Such visions of the future as so often happens, take longer to arrive than we imagine. Skip forward nearly 20 years and there are very few touch screens on fridges. However the Internet of Things has slowly permeated our home, from cameras on door bells, to remote device control of our heating and lighting. The fact is, if a device is connected to a power source it could be and maybe connected to the internet, certainly my printer is, and I love the freedom to print wirelessly. Anyway back to the title of this blog “Moving house in the digital age”. My interest in this subject was piqued by listening to a recent regular podcast favourite of mine “This Week in Google” with the regular co-host Stacey Higginbotham who is an expert on IOT. She got into an interesting discussion of the challenges that are faced by people like her, who live in highly connected houses that are alive with IOT devices, from lighting to door locks, to garage doors, to believe it or not taps an ovens. Stacey is a real live case of someone who’s moving house and in preparing her home for sale she is somewhat challenged by the myriad of operating systems and instructions that pervade her connected home. How to convey to the new owner the operating systems for everything? Added to that is the thorny question of security. Each device has an IP address and is connected through networks to routers that are all accessed by passwords. The conundrum she and other such hosue owners face is the question: “Should these passwords be changed or deactivated?” This type of issues shows just how moving home in the digital age is potentially far more complex and requires more thought. One aspect of no small significance is the question of privacy. Many IOT devices store data (anonymised) on usage which is very insightful to the behaviour of the user. Think for example the data insight you can infer from the time based tracking of a garage door or the usage of interior lights as well as thermostats. Stacey conveniently referenced a document provided by the Online Trust Alliance which publishes a Smart Home checklist – Advice for buyers, sellers and renters. It is eye-popping in suggestions such as “Obtain confirmation from previous owner they no longer have administrative or user access”. I could not help but reflect on how this compares to the current checklist for moving home. A quick check online brought me to the Harcourts site which has a very comprehensive checklist. However I am not sure the list has been updated recently as the opening advice was to cancel the newspaper and milk delivery. Do many people still have milk or newspapers delivered? How times have changed. I recently wrote an article reflecting on the changes in marketing property for sale over the past 25 years. The internet, now celebrating its 30th birthday continues to impact our daily lives and surprises us at time in ways we least expect - like how we approach moving home with our ever more connected smart homes. OneRoof has now been active in the property portal space for just over 6 months and I thought it would be of value to review its success and see what if anything has been the response of the competitors. When I reviewed this new aspirant back in April, I highlighted what I believed would be the challenges it would face in securing listings and engaging an audience. As ever, these are the two inextricably linked components of a dual-side market that are at the heart of a property portal. For without content, there is no value for a consumer audience, and equally without a consumer audience there is no value for content providers, especially if they are asked to pay for content display. After 6 months in the market, OneRoof has made significant gains in one of these areas - listing content. From the starting position of having just Bayleys as the foundation content provider they have added a 3 more of the major 5 companies in the industry. Lacking just Harcourts from the stable of content, I would say that OneRoof now has close to 80% of all real estate agent listings. A significant gain in the past 6 months. At this time no real estate company is paying for a base subscription of unlimited listings, but clearly any misgivings that the industry owners of Realestate.co.nz had in supporting a competitor have been largely ignored in favour of exposing their clients’ listings to as wide an audience as possible. Touching on that point of ‘free’ base subscriptions, nothing as ever is for free for long and I would suspect that OneRoof will adopt a ‘pay per listing’ model or monthly subscription sometime in 2019. In the meantime their premium product offering is being extensively marketed to agents either as a standalone offering or as an appealing bundled offering with print pages in Herald Homes. This bundling is a very powerful model that uniquely will see a high priority given to OneRoof on the marketing portfolio offered by agents to their clients and I expect to see emerging revenue results for OneRoof in the 2018 full year accounts of parent company NZME. Now this is where I fear OneRoof has a long way to go to seriously challenge the powerful leading incumbents of Trade Me Property and Realestate.co.nz, not that they are not vulnerable, but they do hold a strong and well established brand franchise. I do not have access to the most accurate and insightful measures for digital platforms, that being Google Analytics or Nielsen digital ratings. I therefore have been tracking the relative performance of OneRoof and its competitors using a global tracking tool by the name of SimilarWeb. This Spanish company analyses web traffic to create a global ranking of all websites and thereby provide detailed estimates for monthly audience and source of audience. I recognise that the absolute data points reported on SimilarWeb may not be accurate, however when analysing OneRoof, together with Homes.co.nz and Realestate.co.nz on the same platform over the past 6 months it is possible to infer objectivity to their relative performance. It is this comparative perspective that I am interested to present and analyse. Unfortunately SimilarWeb is unable to provide data for Trade Me Property as it is not possible to extract the property data from the main domain of Trade Me as SimilarWeb only tracks primary domains. OneRoof has grown a relatively sizeable audience in a short space to time. An audience that within the 3rd month had surpassed Homes.co.nz and is currently around half the size of Realestate.co.nz in estimated scale of visits. Again it is worth noting that SimilarWeb can only monitor web based traffic and therefore no analysis has been undertaken on the relative scale of audience to mobile apps for any of these platforms. Whilst as stated SimilarWeb does not track Trade Me Property it is possible to infer a relative traffic in proportion to Realestate.co.nz based on the comments made at the recent investor presentation of Trade Me where it was stated that their traffic is ‘>2x’ the unique audience of their largest competitor. In relative terms given how short a time OneRoof has been in operation it appears to be attaining a scale around 25% that of the largest player in the market which is impressive. However as ever statistics can be misleading when you only observe the headline numbers and fail to dig a little deeper. Direct traffic - driven by domain name URL being keyed in, this is a key measure of brand awareness? Search engine traffic which comprises organic search a reflection of deep Search Engine Optimisation, together with paid search traffic from Adwords? Social media traffic which also can be through organic or paid traffic? This is another reason why I favour SimilarWeb, as in addition to tracking traffic on the web for all sites it also track the origin of traffic and this is so enlightening within this segment of property portals in NZ. Detailed below is the comparative make up of the traffic to each of the 3 portals and one data point above all leaps out. Close on two thirds of all traffic to OneRoof last month was referral traffic, compared to virtually nothing for Homes or Realestate.co.nz. What is the source of this referral traffic? You don’t have to look far to find out that the vast majority 99.92% of all this traffic originates from NZHerald.co.nz. From day one OneRoof has benefited from the fact that the NZ Herald website rebranded all property articles as OneRoof articles and all property articles are hosted on the oneroof.co.nz domain powering this massive traffic. So the reality is that two thirds of OneRoof traffic originates from news articles and ad links on the NZ Herald website. I do however concede that once on the OneRoof site, these consumers do browse listings as the number of pages per visit is 4.2 according to SimilarWeb - that compares to 8.5 pages per visit for Realestate.co.nz and 6.4 pages for Homes. I should also point out I have been tracking all of these sites since March and there has been no variance in any of these metrics. The fact that OneRoof is leveraging the media presence of NZ Herald to drive audience is no surprise, I foreshadowed it in my April article under the section “Media Family”. It’s been the highly successful strategy of Domain.com.au in Australian which leveraged the Fairfax media stable of digital platforms to build a massive audience. However their market leading competitor Realestate.com.au was not slow to bring this to the attention of ist shareholders who wondered how Domain had grown such an audience. Their investor report of 2016 showed that Domain traffic was made up of 70% news articles and just 30% property listings as compared to Realestate.com.au which equally leveraged News Corp digital property news for traffic but only to the tune of 8% of total traffic. As a further data point to the relative audience across the 3 main portals I would offer up my current property listing which has received 5,276 page views on Trade Me, 1,789 page views on Realestate.co.nz and 382 page views on OneRoof - the listings received similar premium advertising packages on all 3 platforms as part of a significant marketing campaign. These stats whilst a sample of one would seem to support the conclusion that OneRoof has a long way to go to build a consumer franchise to support the premium advertising solutions; having said that they have everything going for them, a great platform and user experience, a strong brand building programme and massive industry support. As to that comment at the start of this article questioning what if anything has been the reaction of the competitors. Well to be honest when it comes to Realestate.co.nz I suspect nothing. Realestate.co.nz continues to show no signs of any activity - no decision yet even after 18 months as to whether they have a viable new site; nor as to an aligned and unified view of their shareholders, who rightly could and in my view should have seen OneRoof as a real threat and looked for unity within the industry to rally around the industry owned portal. As for Trade Me, they have quietly got on with the job in hand launching an excellent new premium product which is delighting agent customers, their shareholders and the consumer. In the long term I fear for the future of Realestate.co.nz as OneRoof is undoubtedly going to ‘eat their lunch’. It was 5 years; almost to the month that Trade Me made its ill-fated blunder. A very costly blunder, a blunder that continues to hold strong memories within the minds of many in the real estate industry. Trade Me implemented a new pricing policy. That in itself was not the issue, as price changes are a part of any evolving business especially as 5 years ago digital marketing was still evolving and establishing itself as a core element of property marketing. The real issue that took a poorly-thought-out pricing strategy and turned it into a costly and damaging blunder, was the handling of the communication coupled with the reluctance of Trade Me to engage with its customers and really understand and acknowledge how little they understood the business they had been operating in for 7 years. The repercussions of that pricing strategy involved the Commerce Commission, a lot of lawyers and a window of opportunity for the industry owned portal Realestate.co.nz to seize a golden opportunity. Realestate.co.nz had been up until 2013 playing a role as a challenging #2 specialist property portal to Trade Me’s #1 generalist classified platform of which property was a critical financial vertical, but sadly not managed with a clear understanding of the sector or the industry customer relationship. With the industry’s reaction leading to a boycott of Trade Me in the fall out of the pricing strategy blunder, the whole industry of agents, business owners and real estate companies rallied around Realestate.co.nz to bolster the industry-owned site. It appeared at that time that the future was bright for Realestate.co.nz which just might result in ascendancy to market leadership. So much was going right for Realestate.co.nz through 2014. Real estate agents across the country where advocating the site to their clients, ensuring 100% adoption and strengthening the brand awareness. Additionally and importantly these agents were preferencing, like never before the platform as part of marketing campaigns, whilst playing down or rejecting marketing on Trade Me. The industry was swelling the marketing coffers of the company through the advertising dollars spend on premium products. Trade Me meanwhile was losing customers and importantly losing listings. From a time when Trade Me was an undisputed leader in inventory, the tables were reversed and Trade Me slumped to barely 80% of the total market inventory. This, rightly or wrongly became the battle ground upon which these two played out their competitive battle of the next 5 years. Realestate.co.nz decided that this ‘win’ of superior inventory was to be the strategic marketing advantage they could leverage from that day to now to win this fight - the marketing spend was massive as the company ploughed almost all net earnings into marketing. In my opinion this strategy was a massive mistake, for 3 reasons. Inventory superiority was never going to be a unique advantage that could be sustained - that has now come be true and will now haunt them. I contend that whilst the industry is fixated on inventory; after all it is the single most important metric as listings precedes sales, and inventory showcases real estate brand. However to the consumer what relevance is there in inventory? When a consumer goes to Trade Me and searches for listings for sale in Greytown - they want to see what is for sale. If they use Realestate.co.nz they will also see what is for sale and likely they might use both sites or both apps, but do they bother to look to see how many listings there are for sale - NO. For information Trade Me shows 40 listings of property for sale vs Realestate.co.nz at 36. Focusing everything on marketing was dumb. 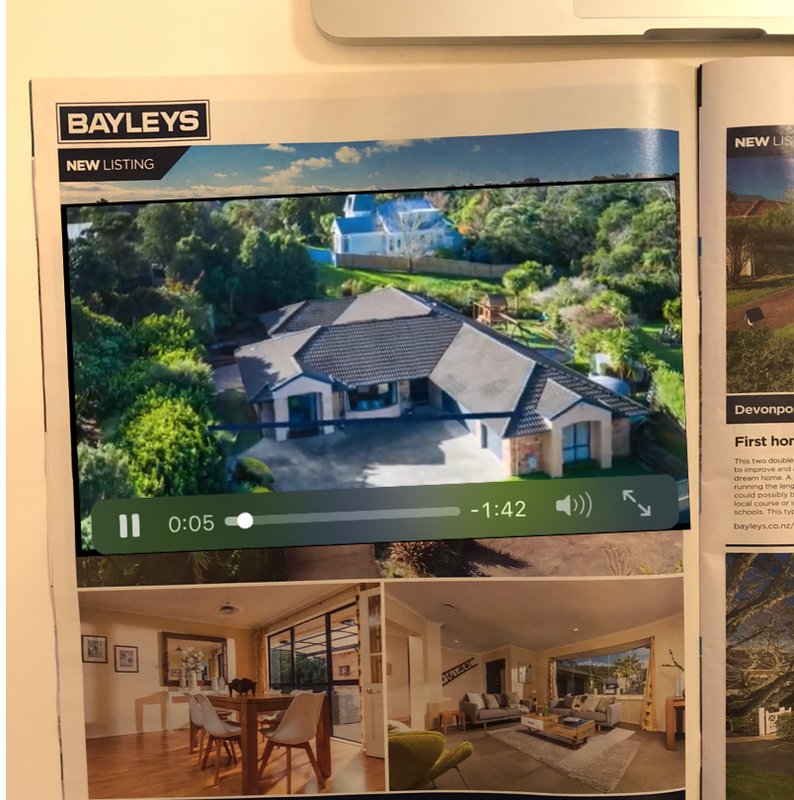 Building brand awareness is key, but surely someone at Realestate.co.nz was aware that brand advocacy and recommendation of the user experience of the core product (website or app) is much more important than endleslys repeated advertising shouting about inventory. Sadly it would seem that nobody thought to ask this this question or challenge the investment in marketing vs. product development, as over the past 5 years (as judged from consumer perspective) hardly a dollar has been ploughed into product development. The core web site is still the same website launched in 2010. A ‘new site’ was launched in June 20017 but still remains in beta. And let’s not forget the apps - the iOS app last got an update in July 2016, is only compatible with iOS 9 (this is n-3 for the geeks out there) and last got a refresh back in March 2014. The Android app was last updated in August 2016 which was purely a cosmetic change. Let me come back to the first of these - building a competitive advantage on inventory. The fact is this advantage is over. Trade Me can now legally challenge the claim that Realestate.co.nz is “the property site with the most listings”. The fact is Trade Me holds supremacy as the site with the most properties for sale - with 4% more properties for sale at this time. As at the 10 October Trade Me Property features 26,317 listings of properties for sale including lifestyle properties but excluding bare land and building sections whilst Realestate.co.nz features just 25,146. Their web platform is a disaster - the classic site is still live and trusted but is showing age from a competitive standpoint around the user interface.The new site is still buggy and not trustworthy, I still personally rely exclusively on the classic site. I could go on, but I think these 6 are sufficient for the board to take on at this time. The industry has placed a huge amount of trust, faith and dollars into the industry-owned site over these 5 years. Now as a part of the industry I personally hope that someone on the board or someone amongst the shareholders wakes up and realises that this business is vulnerable and is potentially fated. There is no denying or ignoring the reach and ubiquity of Facebook. Despite the recent setbacks and concerns over privacy and the world of fake accounts. Facebook is the platform to reach any community – true of NZ, as it is in almost any place on the planet. In NZ more than 2.3 million check it every day. Whether that is to share thoughts, photos or simply to while away a few minutes on the latest meme. There is as ever always a commercial focus for Facebook, and ever more so of their Marketplace product which holds massive opportunity. It will ultimately allow the company to move beyond advertising and pitch up against Amazon in the broadest sense of retail. In the context of real estate, I don’t foresee a property-for-sale move coming anytime soon, however their early moves have been into rentals and flatmates. These 2 categories happen to be core elements of Trade Me Property’s portfolio representing 27% of their total revenue, equating to $10m per annum according to their most recent financial report. Just last month in the UK it was announced that Facebook had struck an agreement with the second largest property portal Zoopla and the leading industry owned property portal On The Market to syndicate all of their rental listings into Facebook marketplace. This is a significant move with potentially massive implications for the NZ real estate industry and Trade Me. Facebook at its core is a community platform that values stickiness – that ability to attract and retain users and monetise them. This is very different to Google that in essence seeks to attract users and then as quickly hand them off to their advertising customers. This difference is significant if we examine the history of property listings syndication in NZ and to some extent globally. Around 10 years ago Google set up an initiative (Google Base) to present real estate listings on Google Maps – a massively disruptive move which encouraged real estate companies to syndicate their listings to Google to be found on map based search. In many ways bypassing the property portals who were adamant that this was disruptive and damaging to their business model. Most of the global leaders boycotted the platform and in some cases went as far as stopping their Google Adwords marketing budgets which at the time were massive. The initiative died a few years later and is now consigned to the archives of initiatives Google has tried and killed. The initiative though was something at the time I supported whilst CEO of Realestate.co.nz. I chose to work with Google to support our customers. Realestate.co.nz was an industry owned-portal and in this sense the ambitions of our customers, real estate companies was perfectly aligned for this syndication whereas for Trade Me and the likes of Rightmove and REA Group they were opposed. They feared the ambitions of Google as a truer competitor, being a content aggregator search engine that could disintermediate between the listing originator (real estate company) and the consumer. So let’s fast forward back to 2018 and Facebook’s partnership in the UK. Already Rightmove the leading property portal has said it will not work with Facebook in syndicating rental listings. Facebook does not want to go direct to real estate companies, property management companies and private landlords to power Facebook Marketplace for rental. It is not in their DNA to be a search engine nor a structured data integrator. Their preference is to partner in order to source a trusted comprehensive feed(s) of listings. In this way they get structured data and don’t have to bother with the interface vagaries of multiple data transfer systems that would be required to be maintained if they went to real estate companies, property management companies or end users. What attracts Facebook to property rentals and flatmates is stickiness. It also happens to be content that is skewed younger and is perfect social and viral content – all aspects that align to Facebook strategy. Let’s look at how Facebook Marketplace sits today in terms of inventory of rental and flatmates in NZ for rentals and compare it to Trade Me as shown below, using Wellington as an example. No comparison. At 70 listings on Facebook vs. Trade Me with 1,241. Facebook is stuck in the classic 2 sided market conundrum. Without listings there is no audience engagement and without audience engagement then no appeal to add listings. However Facebook is not without an audience who would flock to Marketplace if they went from 70 listings to 1,241 listings in a day. That would change the dynamic for Facebook Marketplace for property. So would Trade Me Property syndicate their listings to Facebook? Trade Me effectively is the market in this segment; with all private listings and all property management listings. In my opinion no way. Trade Me earns over $10m from rental listings. Syndicating these listings might be an appealing proposition that they can offer their customers as a wider audience reach. However it would be, as I see it in their judgement taking traffic away from their platform. So if not Trade Me, where might Facebook access the syndication pipe for rental listings? This is the threat that Trade Me is very likely highly nervous of – what if Realestate.co.nz stepped in and made an arrangement with Facebook? At this time Realestate.co.nz does not have the depth of content of rentals as their source is only property managers and their inventory today is just over 5,000 as compared to Trade Me at 8,500 rental and over 4,000 flatmates listings. However based on the same principle as I adopted all those years ago the syndication of those listings would be aligned to the outcome to Realestate.co.nz property management customers, offering a vastly expanding audience reach for these listings. If Realestate.co.nz was really ambitious and thinking strategically to could manoeuvre Trade Me. They could build an interface to allow private landlords to list their properties for rent as well as offering a whole new service to flatmates. Such a move would offer all these customers a powerful USP of exposure to the massive Facebook Marketplace audience for free – how powerful could that be? At the same time there is no reason why Realestate.co.nz could not monetise those listings which at say a low $50 per rental / $10 per flatmates. This could generate c. $8m per annum of incremental revenue, even at half those fees $4m is a massive opportunity for Realestate.co.nz. All of this of course is purely hypotheticals, and sadly I don’t believe that Realestate.co.nz has the vision or courage to take such bold steps. Having said that, Trade Me Property should not rest easily, for it could equally face another challenge. For whilst Realestate.co,nz might not pick up the baton offered by Facebook then maybe OneRoof might judge it worthwhile or even Homes? I find myself in my new role, as a licensed real estate agent in the Auckland suburb of Devonport developing a healthy pragmatism of the age-old decision as to the choice of print, or digital media when it comes to property marketing. Ten years or so ago, I recall standing on-stage at numerous real estate conferences as the CEO of Realestate.co.nz confidently stating that at some time in the not too distant future our lives would have been so transformed by the evolution of digital media, that the humble newspaper would be dead. I foresaw a time when all forms of real estate advertising would be digital. Fast forward those 10 years and clearly that is not the case. Digital is certainly critical; valued by the real estate industry and consumers alike. However our daily newspapers still survive, somewhat depleted and sadly sullied by the race to the bottom, chasing advertising dollars for general advertising heavily driven by eye-catching headlines and lifestyle celeb stories. However for the real estate industry print media retains a true relevance. As an agent, I value its ability to deliver passive buyers and the even more valued serendipitous buyer. The story can be easily told of buyers (unknowing it at the time) idly flicking through a weekend property supplement or Property Press at the local cafe or friend's house on a quiet afternoon, only to be enthralled by a property that they suddenly become captivated by. The value of the print media lies in context, and the fact of strangely imprecise targeting - let me explain. The ubiquity of the newspaper places these adverts in close proximity to everyday news thereby potentially interrupting the daily read with an unexpected opportunity to present a property. It also acts as a reinforcement of a property advert to active buyers who may have seen the property online, thereby reinforcing its appeal and relevance, maximising frequency of presentation. The imprecise targeting is a very interesting counter-logical argument. The very appeal and efficiency of the digital platform which enables for the specific search for 'this number of bedrooms' in 'this price range' in 'this suburb' is the same process that excludes a perfect property that matches all the requirements but is in another suburb that the buyer never thought about. In the case of Auckland, Wellington and Christchurch there are many suburbs that are close substitutes, yet people have fixed mindsets until they are exposed to a house they love the look of, only to find it is located in a suburb that was not on their list, but they go on to buy. That is the power of the print media. Or put another way that is an opportunity as yet not exploited by the digital media players. So what other capability can print media offer and how might the very latest technology assist them? Well I came across a very interesting post on Twitter over the weekend in praise of Apple's new ARKit. This is the latest software Apple has released at its recent developer conference to power Augmented Reality. Here's the tweet that peaked my interest and got me thinking about AR a little bit more - watch the embedded short video to get a sense of this capability. So this example created the sense of an embedded sports video coming to life within a newspaper, leveraging the capability of an iPhone or iPad and the Augmented Reality software. Where you see a sports image and video on a newspaper page, imagine it being a property listing. Simply view the property page with your iPhone and the listing comes alive showing the video of the property or the slideshow for the property. 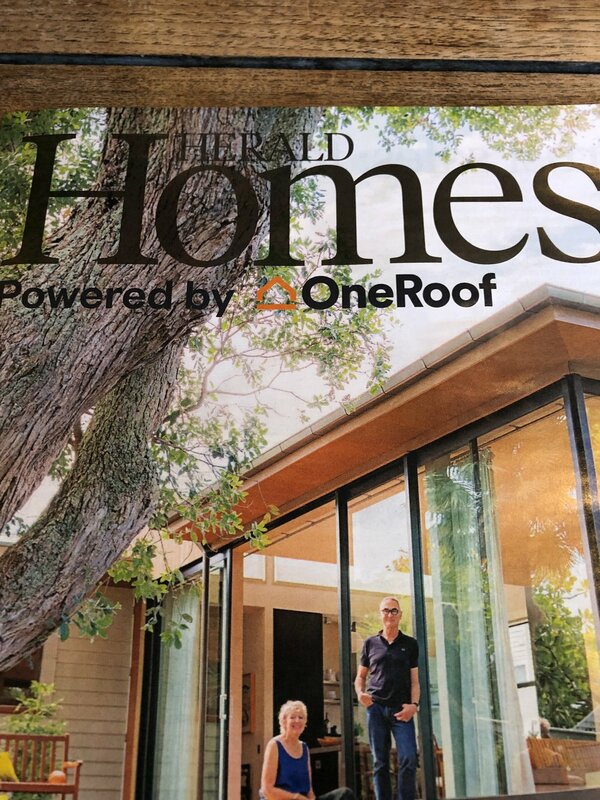 In someways this is just another iterative step that started years ago with URL weblinks on print adverts, progressed through QR codes and lately encompassed the NZ Herald Homes app that used image recognition that took the user to the listing on the web. All of these technology steps by today's standards seem clunky, especially when you see and imagine this in action (A crude representation made by me shown below roughly visualised). This really appeals to me. I have so often sat with people who flick through print publications for property listings and want that bit more information but end up frustrated by trying to find listing numbers and search for them on the Trade Me Property or Realestate.co.nz app. This clearly is a golden opportunity for NZME's OneRoof - the perfect intersection of print and digital. They have the digital content and the print media platform - it'll be interesting to see how long it takes them to develop this and monetise it! As for Realestate.co.nz and Trade Me - this presents an opportunity, but would require a partnership with a media company. The logical path being Property Press unless the appetite is big enough for Trade Me to make the ambitious move to acquire NZME, a relatively achievable acquisition when you see that NZME market cap is just $165m and Trade Me sits at $1,900m - something for Jon McDonald to think about as a parting shot of for the new Trade Me CEO. The announcement last month of the acquisition of Zoopla the #2 property portal in the UK by Silver Lake Partners, the US private equity firm for £2,200 million (NZ$4,180 million) was a clear statement as to the confidence the financial markets and their investors have in the business models of digital real estate marketing. Zoopla is not the leading UK digital property portal. That accolade goes to Rightmove which according to its own stats has 70% of the UK total audience for property searches. Zoopla was only launched in 2008. At that time Rightmove had been in operation for 8 years and had gone public two years earlier. Rightmove in 2008 was generating over £50m in revenue. Zoopla though was never one to daunted and was ever ambitious, lead by the charismatic and driven CEO Alex Chesterman. Through the first 6 years, the business grew through acquisition of other real estate websites and property publications building a formidable position as the #2 player leading to the IPO in 2004. The IPO valued the company at £990 million, half the then value of Rightmove. In a savvy move Zoopla offered real estate agent customers the opportunity to buy shares at a 20% discount; a smart move to side step a challenging move by a new industry owned start up OnTheMarket which required loyal agents to sign up to only one of the other commercial portals to try and break the duopoly. Those agents who did and hung on to their IPO shares will likely see a return of 177% in 4 years. This stellar rise and exit for Zoopla is not an exception in the market of property portals. I thought it would be interesting to do some analysis of the key players around the world to see just how valuable these businesses have become over the years. Many of the leading portals have been in operation now for close on 20 years. Restricting this review to the UK, Australia, USA and New Zealand is not truly reflective of the global market that sees many massively successful operators – the likes of Seloger in France, Scout 24 in Germany, Zap VivaReal in Brazil to name but a few; however I have observed and researched extensively these key businesses over the years, so feel comfortable commenting on their performance and strategy. The top 3 portals in my opinion globally are the REA Group, operator of Realestate.com.au in Australia (and other countries), Rightmove in the UK and Zillow in the USA. Together these three businesses have a collective market value currently of over NZ$30 billion. 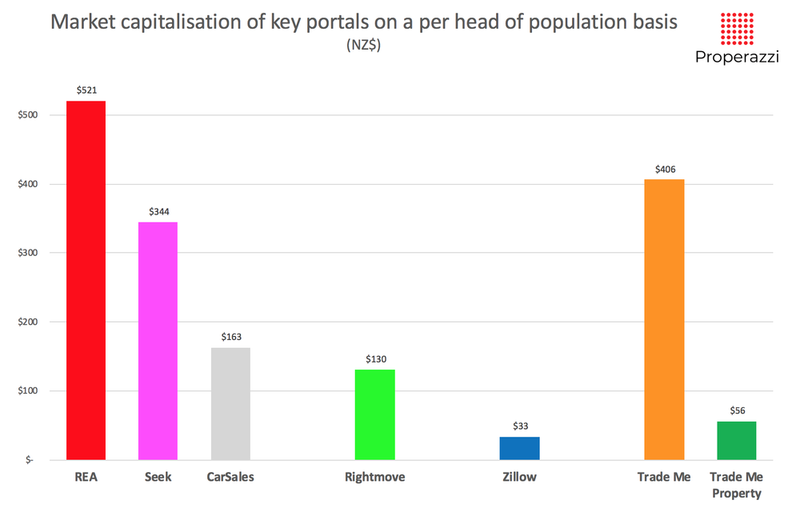 Five years ago those same 3 portals had a market value of just NZ$11 billion. I have for reference included New Zealand’s own Trade Me for reasons that will become obvious as I proceed. This scale of growth is spectacular. What is even more spectacular is the relative rise in the market value of these companies measured against their own domestic market index. I have simply indexed the growth in share price to the index at June each year. The performance of the REA Group is stunning, eclipsing the performing the ASX market by close on 4 times over the past 6 years. Zillow doubling the Nasdaq index performance and Rightmove outpaced the FTSE 100 by more than double. Sadly though our own NZ digital portal of Trade Me with a broader portfolio than just property has not attained such stellar growth and has fallen behind the NZX index over the same period achieving just half of the market index growth over the past 6 years. The REA Group is now not just an Australia real estate digital portal it has operations in Asia and now the US. This latter move driven by its largest single shareholder News Corporation (owns 60% of REA Group) which acquired the #2 property portal in the USA (Move.com) in partnership with REA in 2014. However in terms of profitability at EBIDTA level the performance of REA relies almost entirely on the profits of Realestate.com.au, and they keep rising year-on-year with revenue growth in the last financial year of 16% - this is a 20 year old company that added A$92m of incremental revenue last financial year to total A$671m. REA Group though are not alone in carving out a global powerhouse performance to better all comers, they are actually part of a triumvirate of Australian digital behemoths – REA Group, Seek and CarSales – each are the global benchmark for their category of property, jobs and motors. By no small coincidence the 3 core classified platforms of our own Trade Me. Just like the REA Group, Seek and CarSales have significantly outpaced the ASX market index over the past 6 years, close to doubling the ASX for CarSales and higher for Seek. Some further financial indexing provides valuable insight into the relative performance of these global leading portals for property and other classifieds. In terms of absolute market value the comparison is staggering. REA Group still remains the most valuable property portal keeping Zillow at bay, and a significant 50% more valuable than its jobs portal partner and 3 times the value of the auto portal. The inclusion of Trade Me Property is purely as a means to compare the property operation of Trade Me with its peers in other countries. I have purely used the % representation of property revenue as a surrogate for value representation. Sure I know full well that a digital business based on a 4.7 million population of NZ is never comparable with the population of Australia, UK or US; I'll come back to that benchmark shortly. When it comes to true grunt, any financial expert will tell you that value is only a reflection of profit and this is where the appeal of digital portals comes to light. The EBIDTA margin of these portals is impressive … if you turn a blind eye to Zillow. Rightmove is the king of money making – for ever £1 it receives as revenue it spend just £0.27 on running the business allowing it to reinvest 73 pence. Trade Me shows its might just as effectively, with a very impressive 58% EBIDTA margin, ahead of REA and its Australian counterparts whose 31% and 45% are still worthily impressive margins. This metric of margin is critical in comparing digital portals. The very appeal of digital businesses is scale. The simple principle being that the core cost of a digital platform should cost no more to service for a million users than for 10 million or 100 million. That is why digital businesses can generate such EBIDTA margins. However this is where things get interesting. Why is it that Rightmove serving a UK market of 66 million people can achieve 73% EBIDTA margins whereas Zillow serving a 326 million population can barely scrape 1% margin? Equally how can Trade Me serving a domestic only market of 4.7 million hope to deliver 58% margin? The answers to these two questions are complex and not directly related. The US market is nothing like Australia, UK or NZ when it comes to property marketing, there is no such thing as paid for subscriptions for listings or vendor paid marketing; leaving Zillow to monetise agent advertising and client leads. As for Trade Me the very impressive performance of 58% margin may possibly be part of the reason that its market value has not attained the stellar rise of its peers, as a function of stifled ambition and lacking investment courage? The final metric I will provide is the relative performance of these portals on a per head of population basis. Here we see the same stellar performance of REA extracting a market value which equates to over $500 per person in Australia. Trade Me as a group delivers an impressive $406 per person in NZ, but the truer comparative metric is the equivalent market value of the property sector (based on share of revenue) delivering a market value of just one tenth that of REA. Having said that the surprise is the relative performance of Rightmove at $130 per person in the UK. This potentially portends to the view that the upside for Rightmove is still significant, although the danger is made in assuming the UK real estate marketing landscape is similar to Australia which it is not. The overriding clarity that these data points highlight is the enormously successful digital property portal businesses that have been developed globally over the last decade, but more significant is the powerhouse operations of digital portals across the Tasman over the same period. What can we as NZ’ers somehow learn from this and more importantly what can Trade Me learn to help it chart a more dynamic path to growth as a true NZ icon in the digital portal space? Sometimes I am drawn to rant. Rant about something that in the context of real estate annoys me. Today it is the overuse of drone photography. To my mind, just because a technology has become ubiquitous within the real estate marketing arsenal does not mean that it should usurp the core principle of real estate marketing. Let me explain myself. I have over recent months noticed an ever more frequent use by real estate agents of a drone image as the No.1 image within a photo portfolio for a property. Here is a sample of just 7 properties among the most recent Auckland listings today, I think proves my point. Such drone photos certainly have a place within the portfolio of images - just as pictures of the bathroom or garage and as importantly a floor plan, but placing them as the first images I think lacks a clear appreciation of the emotional connection that an agent needs to achieve with the prospective buyer as they scan their latest email alerts or favourite property search online. Drone photos provide context, and context is key (especially as it supports the age-old adage of Location, Location, Location!) but context should be the support to the visual story that is a portfolio of images, not the lead. The lead image; that first image, the only image that appears in search results and email alerts has to powerfully tug at emotional heart strings. Let me demonstrate. Below I've grabbed just 3 of the listings highlighted above - on the left, the current first image and on the right my choice of a 1st image that I judge would better present the property in search results and email alerts. Is Realestate.co.nz ready to launch their new site? It would appear that Realestate.co.nz is prepping us all for the switch over from the old ‘Classic’ site to their ‘New site’. The odd thing is that they seem however a bit reluctant to throw the switch. This ‘New site’ was first beta tested back last winter; with a select few industry customers given a heads-up-view as early as May of last year. Talking to some customer at that time, their collective view was that the new site was not an improvement (some less flattering comments as well) and the tech team at Realestate.co.nz should go back and do some more work. Close on 9 months later, it's my opinion that the new site continues to fail on a number of levels. I personally use Realestate.co.nz regularly as I have done over the years, not least because it continues to be the definitive source of licensed real estate listings. Although since defaulting the URL to the New site back in October, I continue to painfully click the link to the 'Classic' site. So I felt it was time I sat down and objectively reviewed the New site and look to see how it stacks up against the Classic. My views and comments here are designed to be objective (or at least objectively based). I bear no ill will as in-any-way a function of my prior role as the CEO of Realestate.co.nz (2006-2012) – I left over 5 years ago now. My views written here are based on my extensive experience in digital product management coupled with digital management experience in property portals for more than 12 years. Let me start with the question of why. Why have Realestate.co.nz decided to create a new site? 1. It could be that the management team feel that after 7 years, it’s simply time for a change… fair call. 2. It could be that the code base is creaking under a legacy of tech debt… fair call. I can empathise with this scenario. For developers, legacy code becomes a nightmare as time marches on, one that more and more slows down new dev work and saps the enthusiasm of dev teams. Tech debt is the price you pay for digital products and their constant iteration. As Agile teams, you own it, but here I have to be honest, you avoid it until it becomes hyper-critical. A new platform can be a sanctuary to park the tech debt. I can't actually see if the new site is a new code base and/or new architecture, it certainly would be time for a change, I know that for sure. 3. It could be that they want to optimise premium advertising.. good call. The New site certainly has created a premium tier structure for listings within search results, one that offers added premium position for agents to sell to vendors as premium property advertising. This will certainly drive the bottom line. The screenshot below shows the comparatively larger premium listing in the search results as outlined in red on the new site. Larger listings in search results are a tried and trusted approach to premium advertising adopted by all classified portals globally. This would be logical and strategically valid reason. Speed is still the imperative for any online experience. Too slow a user experience, and your consumers are just one click away from your competitors. However this is an area where objective analysis can be undertaken to measure the improvement . I used a Chrome plug-in to test various pages on the site to compare the Classic site with the New site. Details below, the speeds are an average of 5 page loads each, undertaken at the same time on the same laptop device. Suffice to say that if the objective of the New site was speed – it is not looking good. As a benchmark Trade Me Property scores an average of 7,000 milliseconds for a search result and 2,500 for a listing page. 5. It could be that they feel that they need a truly ‘responsive site’ to better represent the growing mobile user base… fair call. The new site is definitely responsive with 3 break points in terms of size, effectively giving a phone / tablet / browser experience. This is better than the current site which has been offering a two break point responsive site for desktop and phone since 2010. Better but far from optimal. 6. It could be that they believe that the future competitive advantage for property portals lies a revised search experience … good call. It does seem somewhat archaic in this day and age that to find the properties you want to search for you have to engage across both Trade Me and Realestate.co.nz utilise the hierarchical navigation structure of Region / District / Suburb. Compare that to the Australian sites, the US sites and the UK sites and they all deliver a simple Google-like search box on the home page which delivers a smart user interface to find the properties you want to see. This New site certainly delivers a search box front and centre. However what it abjectly fails to deliver is a functional User Experience that has become industry standard with such a search boxes. It has neither auto-complete nor suggestive options to help the user. As an example type in Avondale – sure Avondale is a suburb in Auckland with 66 listings but it also a suburb of Christchurch with 21 listings. The New site gives me all these listings with no clear delineation of the two suburbs or even an acknowledgement in the search results that the listings comprise both Auckland and Christchurch listings. Now compare that User Experience with the excellent Chinese language site of Hougarden. Type in Avondale on their home page (Chrome has auto-translate) search box and look - a clear message : 65 listings for Avondale properties in Auckland and 20 for Avondale in Christchurch. Or try out the beta site of OneRoof which has really perfected the search box experience. The ambition to migrate NZ'ers from the archaic hierarchy of search by Region/District/Suburb is a laudable initiative by the team at Realestate.co.nz and I applaud them, but it it does come with risk, which only compounds if the user interface is not trustworthy nor accurate. If anyone in the management team had been around in 2009 they would have remembered the stuff-up that I can own up to. We built a new site back then with just such a core search box as the primary user interface. That 'new site" lasted barely a week, not solely for this reason – speed was a far bigger issue but we learnt the lesson back then as our users kept reminding up in a deluge of emails – "If it isn’t broken …. Don’t fix it!" 7. It could be that they wanted to deliver a truly world class map based search user experience … no, I don’t think so. If this had been the case they would surely have done a better job as the New site is considerably worse than then old site. It has an even smaller and less visible icon to show the map based search, added to which, it does not work! Taking my example of Avondale again, 90 listings, across Auckland and Christchurch but somehow just 9 of these listings can be displayed on a map! I think I will stop now at these 7 possible reasons, all valid and all quite possible (save the final map based search). The bottom line in my view is that this New site is not a demonstrable step forward. There is one aspect of the New site that I have failed to mention in this detailed review and that is the design. In my opinion the New site is not a good design. It is ugly. It has a terrible muted feel - using a poor colour palette of greys and light blues that make it hard to differentiate functional structure. Additionally it has a design that really only looks designed-for-purpose on a phone and this is where I come to what I believe is the core real reason for the New site. It is my view that the management team has been seeing how much traffic accesses the site from a mobile device (I would guess well over half of all web traffic) and decided that a fully responsive web site was needed. However this is where I would challenge their thinking because even at 50% of all web traffic accessing the site from a mobile device still means that 50% access from a desktop and the New site is horrible on a large desktop screen. There is no longer a large screen modal to view the photos which the Classic site does so well. The New site looks like a website designed for a phone as the priority and then scaled up to fit the desktop - if that is the case as I suspect, then that is where the negative reaction from user comes from - certainly the view of this user. The thing that really surprises me is that in this headlong rush to answer the needs of phone access to the site, the team seem to have forgotten the great iPhone and Android apps that the company has. Sadly a long forgotten platform that gets no love or dev time. The Realestate.co.nz iPhone app was launched in 2010 - a clear 2 years ahead of a Trade Me dedicated property app, thereby stealing a massive march on the competition. The Android app followed 2 years later, but sadly save for some annual bug fixing bot of these apps have stagnated. If it was my decision. I would focus way more effort on these apps. Apps have the huge benefit that once installed they become a competitive land-grab that can exclude a competitor and unlike the web are not 'one-click away' from that competitor. Realestate.co.nz had that advantage for well over 3 years and squandered it. As to a responsive site I would research the heck out of user experiences and then get a great designer to envisage a user interface to deliver a site that does one thing really well - display property listings and their all important photo portfolio clearly with visual impact; truly optimising the visual experience - make sure this delivers on all devices with no compromise. I would also look to peers and competitors for design cues especially regarding user experience design and not ignore the excellent design of Hougarden. I would match this to the best machine learning database to deliver a search box experience that can tell the difference between Avondale properties in Auckland and Christchurch as well as millions of other search strings. Oh, and by the way a great map based search would be valuable as nobody in NZ has yet delivered this for property search (well of course with the exception of Hougarden!). Realestate.co.nz has the advantage of the loyalty and support of their customers (real estate agents and companies) but if they continue to ignore their users that loyalty will wear thin especially as Homes is knocking on the door, as well as the newcomer of NZME with OneRoof and by no means are Trade Me Property relinquishing their audience leadership anytime soon. The NZ real estate industry witnessed a significant milestone just over 2 years ago when Homes.co.nz hit the market. At that time the launch was significant. Today, two years later the service remains significant, and it is my belief that it will become ever more significant in the years to come. Homes did just one thing when it launched, and it did it well. That is the mark of a business with big ambitions. It, for the first time allowed anyone, anywhere to see historical property sales records and estimated valuations for any property in NZ …. for free! Sure, it was initially only for the main cities and it was not a great website and there was no mobile app. But for those who crave this type of information, all of those things were of little consideration. They wanted facts. Facts that had for decades been hidden behind expensive price tags. Remember for a minute, that back then in 2015 if you wanted to get the last sale price for a single property you have to dole out $10 on the website / $2.95 on the app of QV. To get a collection of comparable local sales, twice that amount; and for an estimated valuation $50. Homes very quickly built a sizeable audience and become the chatter of meetings between friends, colleagues and neighbours. Marketing dollars were not needed when you have a source of information that is like cat nip to anyone who owns a property or wants to own a property or is simply curious about what your landlord’s place is worth! Homes leveraged this consumer appetite with smart PR stories about every imaginable property fact and took on a smart and approachable marketing head in Jeremy O’Hanlon who was savvy and accessible. The word of mouth grew as did the traffic. A bit of diversity wouldn't do them any harm! Homes is, and continues to be a privately funded start-up and at launch recognised the need to have a seasoned entrepreneur to seek out the initial funding and lead the company, this was when John Holt came on board to support the original founders being Jamie Kruger and Michael Gibbs. Fast forward two years and whilst I don’t know the ins and outs of the company, I do know from extensive conversations with customers of Homes (agents and users) they are doing well and are on a fast track for the coming years to become a significant force in the NZ real estate marketing arena. So why do I hold this confident position? Simply put. What I see in Homes is what I witnessed with Zillow in the US from their launch in 2006 right through to their position today – a 3,000+ employee company with a turnover north of NZ$1 billion and market cap of NZ$7.5 billion. Allowing for the relative population comparison that would provide a potential comparable valuation for Homes in excess of NZ100 million. Zillow launched with a simple website (back in 2006 don’t forget there was no apps store, so the web had to do). It provided a simple offering – historical sales data and valuation (Zestimate) for almost every property in the US for free – the first such offering. The site instantly became sticky (first day topped 1 million page views) as people had an insatiable appetite to see what their house was worth. That audience quickly generated a significant advertising revenue. As so with Homes who smartly set up sponsorship arrangements with key advertisers prior to launch as well as regular ads. For Zillow the relationship with agents was at first testy – loved by few and hated by many; but it was not long before the smarter agents started recognising that the ad units Zillow could sell next to properties records and Zestimates was a perfect place to pitch to prospective clients. For Homes they established the same service with free agent profiles and premium profile so agents could ‘brag’ of their sales success on individual property records. With agents recognising the power of the Zillow audience it was not long before these agents started uploading active listings which instantly bore fruit with strong viewing figures as Zillow users started using the portal for property search. At the time, the market back in 2008 was not as well developed with pure property portals in the US. There was an industry site (ala Realestate.co.nz in the guise of Realtor.com which was not owned by the industry but a kind of de-facto industry site) so Zillow had competition, but sadly for the owners of Realtor.com traffic soon switched leading to Zillow fast becoming the most visited website for property even if it did not have a comprehensive source of listings. However whilst agents wanted to upload listings, the issue for Zillow was the complexity of the listing process in the US – much like so much of things in the US it is simply best to say getting a source of listings is a nightmare with 900+ Multiple Listings Services each of which is unique and holds geographical monopolies that are political fiefdoms. Bottom line was that whilst agents started to love Zillow their broker business owners and these industry listing services were not supportive. For Homes the issue was similar but different. Accessing listings in NZ is easy (in theory). There are 6 major franchise groups accounting for well over two thirds of all listings, who can in theory provide a data feed of all active listings at the click of a key so long as you have their support. 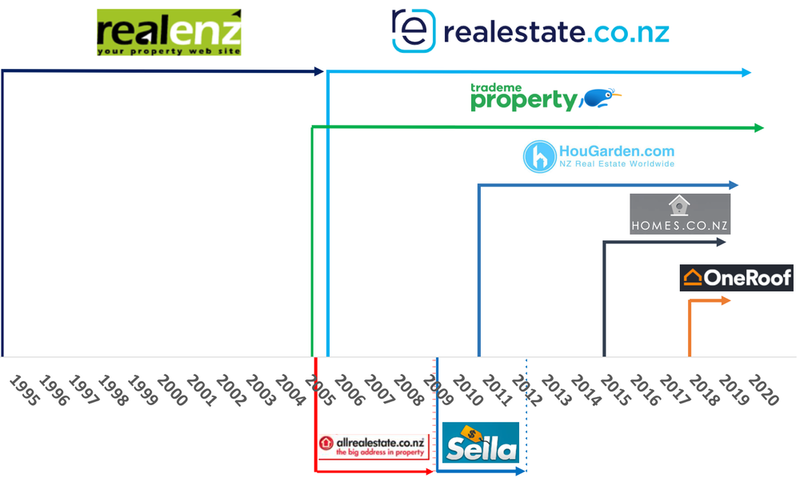 These 6 major groups though are the shareholder owners of half of Realestate.co.nz and to date the support for listings uploaded to Homes is limited to Ray White together with some independent operators outside the major 6. As far as Homes playing to the Zillow playbook, I would judge that they are, where Zillow was back in 2009. Which says they have a lot to do, but I would judge that they will probably start to accelerate to catch up pretty fast. Within two years I would see them being a credible and viable competitor to the key players of Realestate.co.nz and Trade Me and potentially the new entrant of OneRoof. So, what can the Zillow playbook hold in store for Homes. In terms of property marketing there will come a whole suit of premium advertising products which agents will pitch to sellers as digital continues to grow in relevance in property marketing. In addition as a function of the owners flagging their own home on the site they will be able to actionsmart direct marketing to property owners and prospective vendors. In terms of agent advertising I think they are better developed than any other digital player in NZ today which includes Trade Me and Realestate.co.nz. On top of this then comes the ancillary business opportunities. Zillow created a mortgage origination marketplace, not something that really exists in NZ but certainly a deeper and richer relationship with key NZ banks and financial institutions could be mutually rewarding for Homes. A bit more lateral is the pivot from Homes adopting the Zillow playbook to adopting the Zoopla playbook. Zoopla in some ways the UK version of Zillow, has very successfully broadened its business from property marketing to price comparison services, originally around utility and finance services through the acquisition of uSwitch to recently pitching the acquisition of Go Compare a far broader and significantly larger player in the UK market for comparison services. The logic being that once you become a trusted source of information and services of the house as an asset, then you can leverage that to any financial transaction from or to-do-with the house, especially as the house is always the biggest financial asset anyone generally has. So what if any are the roadblock which sit in Homes way? Listings. If the real estate industry decided it was not going to support Homes and not syndicate their listings to them as a property portal then Homes will struggle. However I don't think it would be killer blow to Homes, if they can demonstrate to agents that their appeal to clients and customers is as good or better than the current portal players then the power of the agent against the force of the key real estate companies will be the real test. I’m excited to see what happens over the next 2 years in the real estate marketing arena, there is a lot at stake and some well-established players with a lot to gain and a lot to lose.